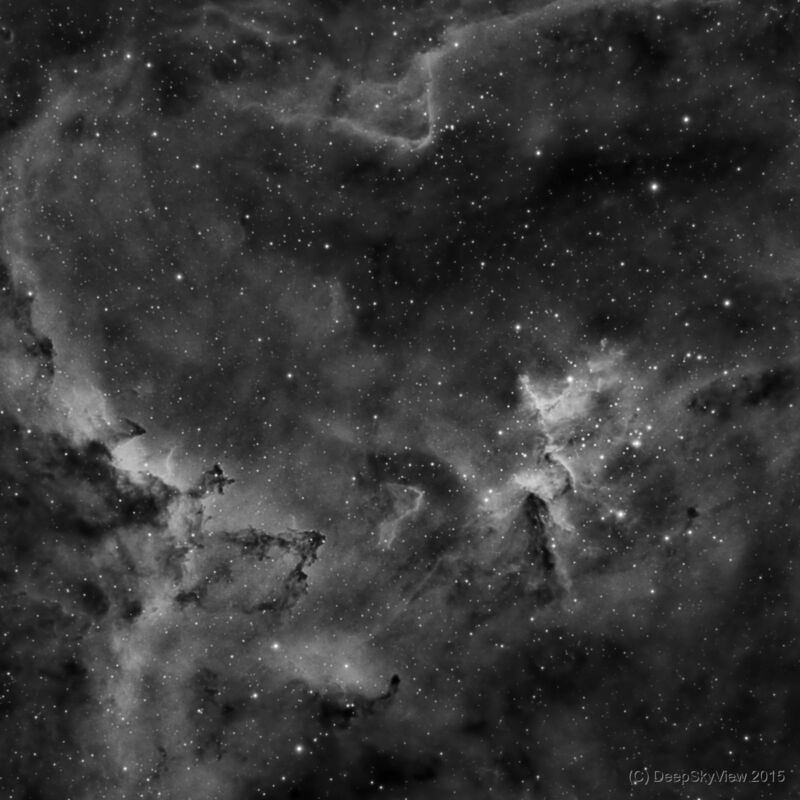 The central section of the Heart Nebula (IC1805) with the open cluster Melotte 15. The stellar wind and radiation from this cluster of massive host stars, about 1.5 million years young, has sculputured the emission nebula and dark dust clouds into a dramatic scenery. This Ha image was taken from my light-polluted backyard (Bortle class 7, red zone) briefly after full moon with terrible seeing. I will come back to this scenery and try a full narrowband composite.